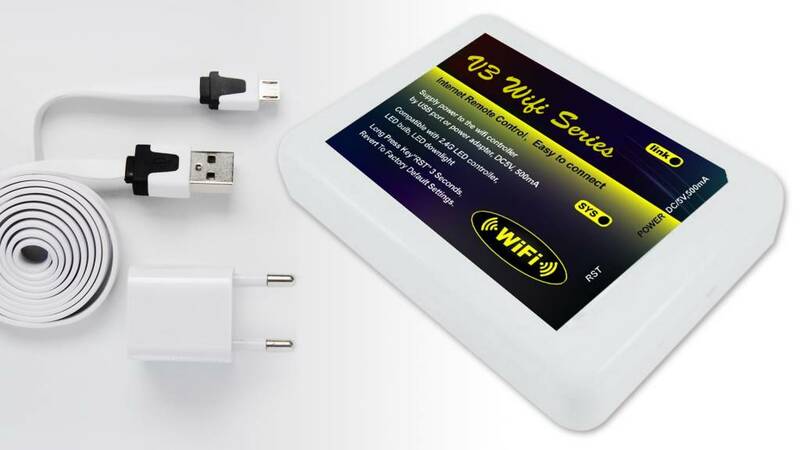 WIFI starter kit including a 6W Dual White LED bulb. With this starter kit you get the more than just the perfect 60 watt replacement. 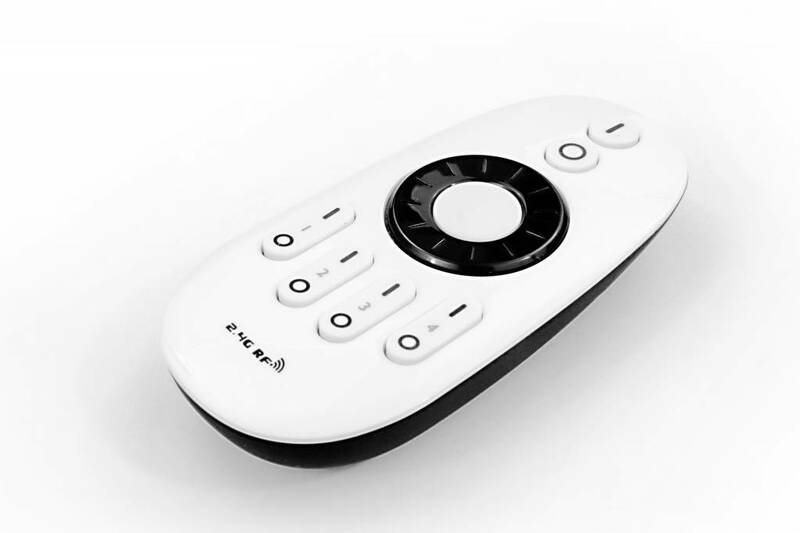 Operate four zones of Dual White AppLamp bulbs with the Wifi App on your tablet or smartphone, each zone can be individually switched on or off, dimmed, adjusted to a white variant of your choice, from cosy warm to cool daylight, and has a night light mode (0.3 Watt). 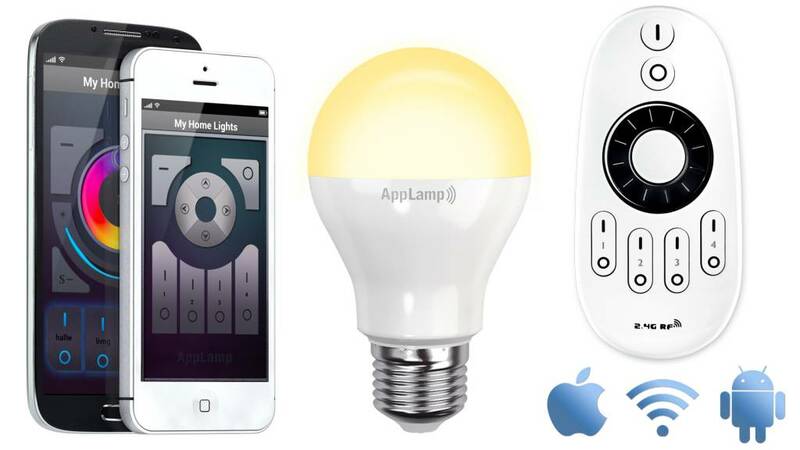 The starter package includes 1 Dual White AppLamp bulb, the Wifi Box and access to the free app available for both Android and iOS. 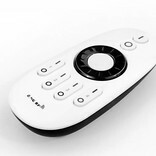 In addition, you will receive a 4-channel remote control wich has the same controlling functionalities. 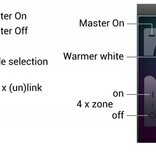 This way you can also control the lights without App. 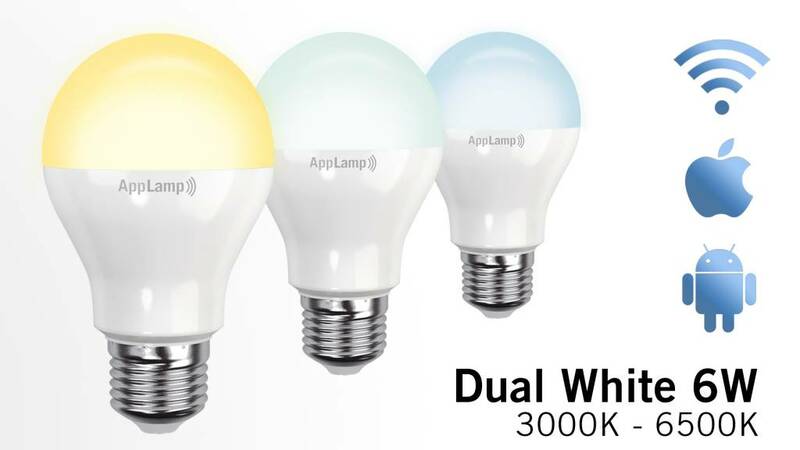 All of the above displayed options are compatible with this system; you can also use the full-color bulbs and stylish RGB(W) color or warm white LED strips alongside the included Dual White LED lamp. 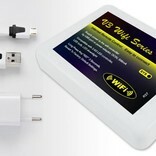 For more information about these products, roll over the green information icon (i) more. The energy efficient LED bulb consumes only 6 watts at max and emites the light of a regular 60 watt bulb. 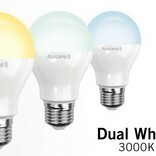 You'll save 80% energy and the LED bulb also has a life expectancy of 50,000 hours! 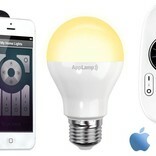 Order extra AppLamp bulbs or LED strips now and get a nice discount.